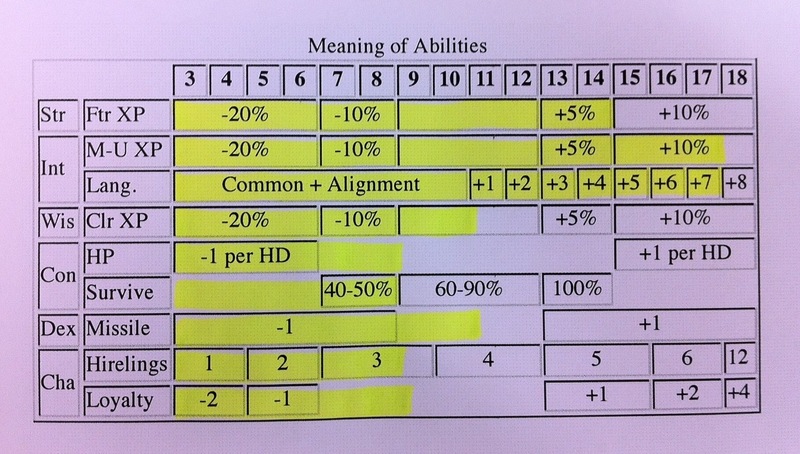 Ability scores are explained on pages 10, 11, and 12 of Men & Magic. Here is an alternate presentation. I think this table makes the effects of ability scores much clearer without needing to shoehorn them into a common pattern. 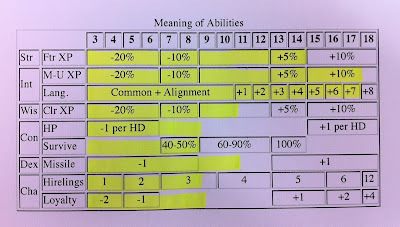 This table could be printed on character sheets, and then the character attributes could be circled, or highlighted like a bar graph, as shown below. This entry was posted in Rules and tagged OD&D on May 31, 2012 by Necropraxis. I ran the playtest module for my group yesterday evening. There were five players, so all the pregen characters were in play. I didn’t bother with any backstory or justification, since we expected to play this as a one-shot. Reaction was almost entirely positive. The player who (I thought) was the biggest 4E fan said he didn’t miss anything from Fourth Edition, though he thought it played differently. Everybody enjoyed the advantage and disadvantage mechanic. We got about 2.5 hours of solid game play in (this is about average for us, since we game after work). Uncertain about the healer’s kit mechanic. It seems like a strange requirement if HP are supposed to be abstract. Also, it might lead to PCs carrying too many healer’s kits. They would have appreciated a bit more healing. My players are used to 4E healing surges though. They thought the clerics needed to prepare specific spells also, so they probably should have had a few extra healing spells following the rules as written exactly. They liked constitution + hit die for starting HP, though it seemed high to me. Simplified action economy was appreciated, though some sort of limited “parting shot” type of opportunity attack was suggested (I believe 1E and 2E had simplified disengagement rules that might work well). Everyone liked split movement, myself included. The cleric of Moradin (dubbed “clericadin” by the player) was played aggressively, as I would expect a traditional plate + mace cleric to be played. The wizard player liked the balance of at-will cantrips and prepared spells. One player said she missed the battle mat. She felt like she had to continually ask me to redescribe the physical relationships during combat. I do run some 4E combats without minis, so this was not entirely new, but when there are lots of combatants we usually use minis. The PCs went in cave D first, one of the goblin lairs, not trying to be especially stealthy. They wandered into a dead end and were ambushed by a patrol of 6 goblins. They routed those goblins, killing half of them and letting the remaining survivors escape to warn the others. They went deeper, following the fleeing goblins anyways, and got caught in a heavy melee with more goblins who had overturned a table to use as a barrier. The goblins had already taken the opportunity to pay the ogre, so the party ended up trapped between a group of goblins and an ogre from the rear. The wizard cut off any chance of parlay with the ogre by a shocking grasp to the nether regions, resulting in one very angry ogre. They ultimately prevailed, looted the ogre’s cave (giving the remaining goblins time to build barricades from storeroom junk and prepare). They ended up defeating those goblins too (though the leader escaped). A goblin was frozen to the ground with a ray of frost and two of the PCs held a dexterity contest to determine who could get to it first. The cleric of Moradin sampled the invisibility potion and his lips became invisible. This led to many “why so serious” references. He also got drunk off the ogre’s brandy, so we got to test the intoxicated rules. The ogre had too many HP. The frontal assault strategy they chose certainly would have gotten everyone killed if we had been playing B/X. One PC was briefly in negative territory. The rules seemed to promote creative tactical play without much overhead. For example, the halfling jumped on the ogre’s and stabbed him in the back repeatedly while the ogre flailed around trying to get the halfling off (attacks at disadvantage, I have him an intelligence check chance to think about slamming the halfling against the wall, but he failed that check). There was little resource management, but it would have been hard for that to come through in a one-shot anyways. The rules currently seem to be of two minds on this. On the one hand, at-will light cantrip. On the other hand, healer’s kit, antitoxin, and healing potion. This entry was posted in Uncategorized on May 29, 2012 by Necropraxis. Here is a player handout I put together for The Caves of Chaos. I couldn’t find one with the concealed caves unmarked, so I made my own. This entry was posted in Uncategorized on May 28, 2012 by Necropraxis. I’m running the play test Caves of Chaos tomorrow for my group, so I thought I’d put down my pre-play thoughts beforehand and then compare them to how it goes. My group is pretty diverse (a few very casual players, some who are primarily video gamers, some 4E fans, and one player with mostly 3E experience; none of them are very active in the online tabletop RPG community), so it will be interesting to see what they think. I’ve mentioned previously that I like the idea of backgrounds and themes, and I still like the idea after seeing a few actual examples on the pregen character sheets. I’m not crazy about all of the abilities, but the underlying concept is solid, and a huge improvement over the raw skills and feats available in Third and Fourth. Backgrounds as presented are a slightly more elaborated version of the original “secondary skill” systems present in 1E and 2E. The backgrounds are a nice way to add some detail to a character without wasting time on extensive backstory that (let’s face it) rarely gets read by anyone other than the writer. Put the list of backgrounds on a random table and that would make a pretty good character creation tool (compare to the recent Before First Level posts over at The Dungeon Dozen). The backgrounds as given by the pregens are knight, priest, soldier, commoner, and sage. Themes I see as select class features factored out of classes. For example, the backstab/sneak attack ability is not associated with the rogue class, but rather the lurker theme. So you can create a fighter with the lurker theme and that is a pretty good assassin. The magic-user theme grants the use of several cantrips, so a rogue character with the magic-user theme is a pretty good approximation of The Gray Mouser, who knew a few spells from his time as a wizard’s apprentice. Conan? A fighter with some sort of barbaric background and a theme like slayer or lurker. This is better than multi-classing, in my opinion. I would much rather see a limited number of classes with more themes than a huge number of classes. Unfortunately, many of the non-core classes are sacred cows (ranger, paladin, barbarian, etc) and so are likely to be full classes despite just being slight variations on the fighter. The themes as given are magic-user, lurker, slayer, healer, and guardian. One of the problems I noticed is the lack of support for games that focus on resource management. The at-will light cantrip is the biggest offender, but there are several other problematic abilities. 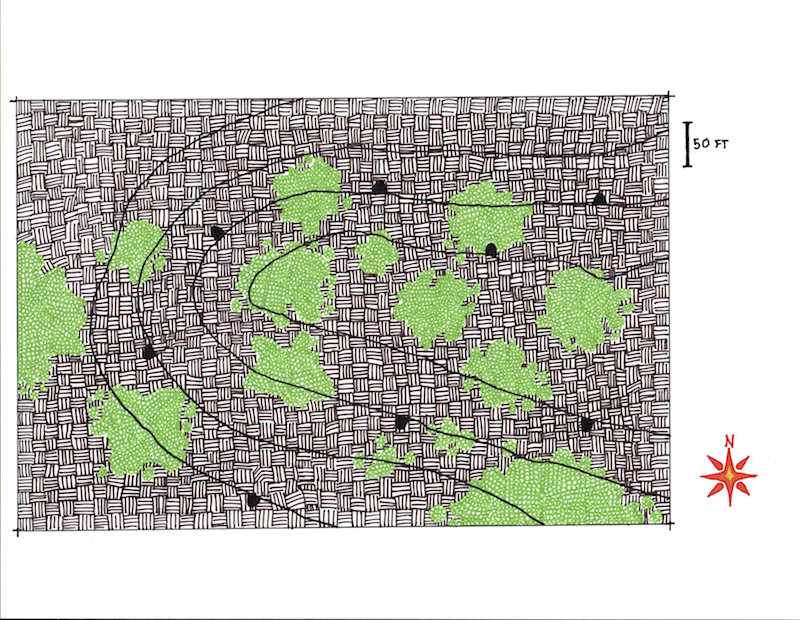 Detect magic is also an at-will cantrip, and dwarves have a racial ability called stonecunning which allows them to unerringly retrace their steps while underground; this makes mapping less critical. These features are fine, but should be available modularly, not as defaults within the core races and classes. To paraphrase Jeff Rients from a G+ conversation, I respect the right of anyone to play Omega Level asskickers, but I don’t see why there can’t be room for low rent bastardry at first level, and such play relies on resource management. Also, if you want the game to be about anything other than killing monsters, combat can’t be the first resort (in other words, the game has to be more deadly, at least optionally). From a high level design point of view, a shift to a lower power curve is by far the most promising aspect of the new system. 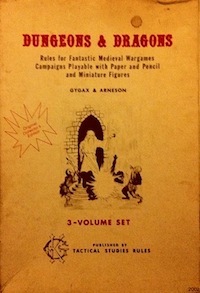 This might even have advantages for old school play over some early editions of D&D. Consider the escalating power levels of classes in AD&D, for example. A high-level AD&D fighter can pretty much hit anything that does not have an absurd AC. It is hard to get a full picture of how this might look from the play test materials, since they only go up to third level, but it is notable that not a single class gets any increase in base attack bonus over that period of time. There are a couple bonuses to damage here and there (presumably to compensate), but I think that will have much less of an effect on the way the game plays. Even the advantage and disadvantage mechanics are designed around avoiding bonus inflation by using a d20 version of 2DTH (roll two dice, take highest or lowest). For an example of how this is used, consider penalties for wearing armor. Armor causes disadvantage to several kinds of rolls (stealth, saving throws when not proficient, etc). I love this mechanic, so this makes me happy. Gone will hopefully be the nonsense of 4E scaled defenses. Such scaling results in absurdities like a first level pixie having a 15 reflex and a 20th level ogre having a reflex of 30 (I made those numbers up, but they are representative). Some people have described these play test materials as “3E lite,” but I just don’t see it. Pretty much the only point of comparison is the listing of task DCs, and as far as I can tell the whole point of flattening the power curve is diametrically opposed to the reality of Third Edition, which is by far the edition with the steepest power curve (4E starts out more powerful, but advances less steeply). I love the idea of ability scores as saving throws, despite the fact that it might fight against 3d6 in order (because ability scores will be so potent that players will always want them to be high). That said, the benefits are many, and include avoiding some of the skill tax problems of perception and allowing the simplicity of 3E saving throws without needing separate numbers on the character sheet. This also means, however, that saving throws will not get better as levels increase (one of the few aspects of level-based inflation that I like, because it allows players to earn survivability through smart play rather than optimization). Does this mean that ability scores themselves will inflate as levels progress? Or maybe there will be separate saving throw bonuses? We will have to wait for more details before that will be clear. Also, this means no evocative saving throw types like the save versus death ray. In other words, this is pretty much the Caves of Chaos as imagined by Gary Gygax. There are several suggestions about how to avoid killing PCs if they are in over their heads, but even Gary had suggestions in the original about ransoming PCs. The only significant modification from the original is that DCs are given for avoiding hazards and finding things like secret doors. However, there is also language about how a player must indicate, for example, the correct place to search in order to have any chance at all, and that the referee can always award success based on good description with dice rolls. In other words, player skill. This might seem like schizophrenia, but one might also read it as a license to make the game your own. There are still lots of important things missing. XP award guidelines, for example. From the materials, it seems like you only get XP for defeating monsters, and that will not encourage the kind of careful play that the original module expected. There are no mentions of retainers. There is not variable monster reaction system, which will probably lead referees to assume hostility. Given that this is not supposed to be a complete game, I am willing to withhold judgment about those omissions for now. Also, the solutions they propose to fill those gaps need not necessarily be clones of OD&D or B/X to be successful. But the function of those original systems needs to be understood. This entry was posted in Uncategorized and tagged D&D 5E on May 27, 2012 by Necropraxis. The current D&D Next play test rules for lethality and dying are way too soft for games that I would like to run. I want there to be a greater threat of death, for a number of reasons, but not least because I don’t want combat to be the first resort of PCs. Mike Mearls has already said that HP is likely to come down, but I don’t think that is enough. The dying rules also have to be addressed. The thing that frustrates me about this discourse is that it is not an either/or proposition. It is easy to build several possible play styles into the core. First, you can always start at higher level. Some people object to this because higher level is also higher complexity, so you are really affecting more than one aspect of character design (though I’ll also note that a first level 4E character feels about as complicated to me as a 5th level traditional D&D character). Including options for different play styles does not take anything away from anyone else. The various editions have already given us a plethora of death rules. All that is needed for 5E in this regard is for them to pick several possibilities that address different play styles and present them, along with pros and cons, in whatever becomes the referee guide. For lethality, three natural options jump out at me. For a lethal game, dead at 0 HP (perhaps with a constitution saving throw to be incapacitated rather than killed). Other options would be dead at negative 10 (or negative constitution) HP, and the current playtest version that is reminiscent of 4E (with all those fiddly death saving throws) could also be retained as an option. Here is a proposal for supporting different levels of lethality. Vary starting hit dice. This has the advantage of not increasing complexity for other character aspects. Also, First Edition play falls out as a natural corollary (the 1 hit die variation). One die of self healing is also very close to common binding wounds and liquid courage old school house rules. Bump the starting hit dice up to, say, 4 or 5 and you will have a game that feels much closer to fourth edition; starting hit points will be greater, and PCs will have more hit dice available for spontaneous healing. The other major aspect of lethality that is potentially problematic in Fifth Edition is the recovery provided by a long rest. In the play test rules, a long rest restores all HP and hit dice. This should be another part of the game with a menu of options. I would suggest recovery of one hit die for an old school feel (which would then need to be spent for any healing to occur), recovery of all hit dice for a less deadly but still random feel, and recovery of all hit dice and HP for a super-hero feel. This entry was posted in Rules, Techniques and tagged combat on May 26, 2012 by Necropraxis. As has been mentioned several times previously on this blog, a skill tax is some feature that a player feels compelled to take, not because they are interested in the skill itself, but because someone in the party should have the skill for the good of the group. Perception is such a skill, because you only need one character to be able to notice things (with perhaps one backup if the primary goes down). This is usually considered a bad thing, because the player that takes the skill is down one resource slot compared to all the other players. The same kind of dynamic can arise for things other than just skills (for example, the thief as trap finder and the cleric as healer). I was thinking about this when reading the 5E playtest materials, which boil down skill-like checks and saving throws to ability scores. This is not a new thing, as people have been making ability checks (and even ability saving throws) for a long time. And I gather other systems (like Castles & Crusades) do something similar. But it does institutionalize and generalize a system that is already rather well understood and well liked. What is the connection to skill taxes here? If wisdom is perception (one example from the playtest materials) then you also get all the other benefits of a high wisdom when taking it for the boost to perception (never mind for now all the problems with perception systems; my point is about features that players feel obligated to take). And, running this system using 3d6 in order (which will presumably be one of the character creation options in the final product) will help avoid excessive optimization potential. This entry was posted in Uncategorized on May 25, 2012 by Necropraxis. Due to a G+ comment by this guy, I ordered a copy of a P. Craig Russell Elric graphic novel. The art is gorgeous, especially the color work. The story is nothing special (and I like Elric), but just paging through it makes me happy. Here are a few bad pictures I took. Check it out. This entry was posted in Uncategorized and tagged comic book on May 23, 2012 by Necropraxis. Here is a quick justification for why elves (and perhaps other faerie demi-humans) are limited in level progression. Elves are otherworldly creatures that are not completely at home in the mundane world of humanity. Their essence (and magic) comes from a connection to their mystical home, Elf-Land (or the Feywild, or whatever you want to call it). After a time, long for a human but short for an elf, curiosity wanes and an adventuring elf must return home or be diminished. Elf-Land could be another plane, but I prefer to think of it more in terms of mythic geography, though perhaps with some physical laws warped or changed. Like, as you go deeper into the elder forests things get weird and alien. This is closer to how people conceived magic before the great disenchantment. Somewhat related, I also love the idea in DCC RPG of elves being unable to tolerate equipment of iron (obviously also derived from folk tales). Elves begin with mithril equipment, but replacing lost equipment is difficult (a nice trade-off for their fighter/magic-user flexibility). At the discretion of the referee, perhaps elves must periodically return to Elf-Land or start to lose magic abilities. An elf that stays to long in the world of humans will actually become mortal (in game terms, a fighter) and probably begin to forget their past existence. And maybe the opposite is true as well? Humans that stay too long in Elf-Land are also changed? Perhaps this is one source of changelings. 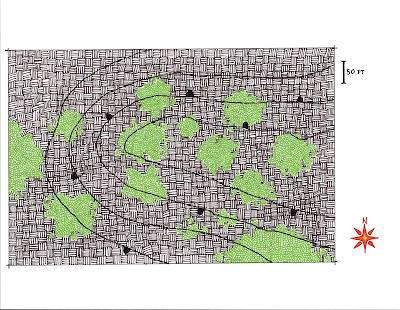 And time, of course, also flows differently in Elf-Land. This entry was posted in Uncategorized on May 22, 2012 by Necropraxis. In Glantri, these are each secret societies that exist beneath the surface of the wizard-ruled realm. Hidden guilds, essentially. They are detailed on pages 69 through 76 of GAZ3 The Principalities of Glantri. This was one of the books I took along on my recent vacation, and though I didn’t read it cover to cover, I did manage to take in most of it. The supplement in its entirety careens unevenly between excellent and absurd ideas, and is burdened by much the the “gazetteer” portion being presented diegetically (or, less charitably, as fan fiction). But the good parts are so good. And all the interior art is black and white by Stephen Fabian (one of my favorite fantasy artists; see this gallery). The secret crafts make up one of the best specialist magic systems I have yet come across. They work somewhat like prestige classes, each having five circles (much like levels) which require XP, GP, and training time (not to mention an NPC teacher). A craft specialist learns abilities, which are powers which are usable either daily, weekly, or monthly (depending on the circle), and sometimes have component costs as well. It sounds rather complicated when presented concisely like this, but is quite clear in the text, and I love how there are so many adventure hooks built into the progressions (it’s not at all like level up, choose a power). Each circle also has a minimum wizard level prerequisite. So, for example, you can’t become a master of the first circle until 5th level, and mastery of the fifth (final) circle requires first reaching 20th level as a magic-user. The powers are also not entirely reliable (requiring a percentile roll, with fumbles occurring on rolls of 01). The crafts are not necessarily as you might imagine them from their names. For example, alchemists are closer to Jack Vance vat wizards than they are to simple potion brewers (though they do that too); the fourth and fifth circle abilities are “transcend energy” and “mutate lifeform” (these are exactly as cool as they sound). The illusionists are not just crafters of phantasms, but rather they tap into the dimension of nightmares, and can build a stronghold there upon mastery of the fifth circle. The rune masters are concerned with true names, and they have probably the most flexible of all powers, able to shape aspects of reality based on the names they know, but also some of the worst kinds of feedback upon fumbles (essentially, reality storms). The dragon wizards are the least interesting in terms of flavor (most of their powers being rather boring attacks), but even they could add to a campaign, particularly their warding abilities, and their final dragon metamorphosis (which could be reminiscent of Dark Sun if played well). A roll of 01 causes the necromancer’s life-force to be partially drained, his attempt failing lamentably. He suffers 1d6 points of damage per HD of undead he attempted to create, plus 5 for each asterisk (no save). If the necromancer dies, he immediately becomes an undead of the type he attempted to create. The control undead (second circle) ability can also be used as turn undead, though it “does not require a religious symbol, but only a few gestures and ritual words.” Beware though, a roll of 01 makes the necromancer a pawn of the most powerful undead creature in his presence. Pages 9 and 12. Apparently the mafia is quite active in Glantri. Despite all its flaws, I can’t recommend this supplement highly enough. The bad parts are easy enough to ignore, and the good parts are really, really good. And this is without mentioning the ancient nuclear reactor buried beneath the city that can turn magic-users into radiation liches. Even the maps alone are excellent. They include a full poster map of a canal city and details by district in the booklet at a scale absolutely perfect for gaming (unlike the absurdly complicated maps I have seen for cities like Waterdeep). This really makes me want to check out the other Mystara Gazetteers, despite my dislike for settings with extensive canon and my dislike for magic as a substitute for technology. Unfortunately, they are quite expensive on the secondary market. This entry was posted in Uncategorized and tagged magic-user on May 20, 2012 by Necropraxis. Things that I think would be fun to play, in no particular order. I find the idea of trying to run some of these rule systems by the book (at least to begin with) particularly attractive right now for some reason. Maybe it’s because I’ve been running my 4E hack now for so long. This is a short post because I am flying back home today. This entry was posted in Uncategorized on May 19, 2012 by Necropraxis.